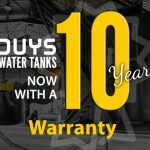 Duys Rotomoulders are now also offering a 10 Year Warranty on their water tanks which were initially carrying a 8 Year Warranty. This is for all water tanks purchased from 1 March 2019. 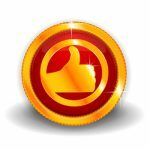 A massive big thank you Michelle for excellent work done by you. You are an asset to Duys and it’s difficult to find customer service nowadays and you proved it still exists. Please forward this mail to your MD and please also say a big thank you to Grant and also to Ben who delivered the replacement. My wife says he was really helpful and professional. You guys are an excellent team and I will recommend anybody who needs a tank to you. Duys Tanks is proud to announce that we have just released our new HERO range of vertical storage tanks. These new tanks are beautiful designed with a wonderful modern look. 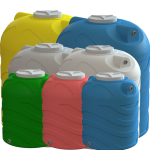 Our Hero range is available in our standard 7 colours and are available in 500LT, 1500LT and 2500LT sizes.Contact Duys today, to find our more about these amazing new water/chemical storage tanks.